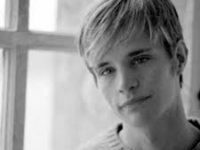 On October 6, 1998, Matthew Shepard stumbled into a trap that would leave him crucified to a buck fence on the outskirts of Laramie, WY. That evening, at a college bar, Matthew accepted a ride home from two men pretending to be gay. Once in the car a merciless beating began. Driving a short distance into the country, his assailants tied him to a buck fence, stepped up the beating, robbed him and left Matthew to die in near freezing temperatures. Eighteen hours later the police arrived on the scene. The responding officer stated that she found Matthew unconscious and when she lifted his head, the only place you could see the white of his face was where his tears had fallen through the blood and dirt that covered it. On October 12, 1998, eighteen years ago today, Matthew would die of his wounds. He was 21. With many other gay men, we knew that what had happened to Matthew that night could happen to any of us. On that day, Matthew paid the price of the hatred that the queer community knows too well. Matthew was attacked on a Thursday. As the news spread around the world, vigils began with millions in shock and praying for his recovery. The following Sunday, I stood in the narthex of South Presbyterian Church in Dobbs Ferry, New York. The sanctuary was filled to capacity. This congregation had long welcomed gay folk; they understood how personal this was to every person who identified as Lesbian, Gay, Bisexual or Transgender. South Church’s leaders, themselves, had been charged by others in the church for its full welcoming of the LGBTQ community. These were brave and faithful and strong folk. They and other congregations like them knew the need for a such a sanctuary, regardless of the cost. Sadly, for all the regret expressed in the coming days that such a thing could happen, Matthew’s death would not be enough. In June of this year, the Presbyterian Church (USA) held its General Assembly in Portland, Oregon. We were meeting at an historic time for the queer community of the church. Since May of 2011, after forty years of intense struggle, the denomination had eliminated restrictions on the ordination for queer candidates, given pastors permission to marry same gender couples and changed its constitution to define marriage as being between “two people.” The Presbyterian Church (USA) had become one of the most welcoming communities of faith on the face of the planet. Now, the work before us was to lift up these changes in a bold and public way so that all could hear the good news. The evangelistic spirit was especially strong for many of us who never forgot the violence that took Matthew’s life; we knew that faith communities needed to take the lead in unwinding the hatred they had spun by accepting responsibility for the institution’s actions. We were on the precipice of such a time for the Presbyterian Church (USA). Many of us believed that the next step in the process for proclamation and healing called for the institution of the church to acknowledge the harm it had done to the queer community. We believed it was time for the church to state what most every gay person and supporter knew – that it had been wrong in taking positions that marginalized – or allowed others to marginalize – our community. By making such a statement and by lifting up recent changes, we hoped that the church would enter into a new time of acceptance and unity for all. Further, many of us anticipated that such a statement would be healing and instructive with the PC(USA) taking a leadership role in creating a safe and welcoming faith community for others to follow. It was a pastoral, honest and bold prophetic premise that had much support. And, it had organized opposition, as well, from within some members of our own community and its leadership. But still there was hope that this would be the time. It was on Saturday night, June 12th, six days before the opening of the General Assembly, that a gunman entered Pulse, a gay nightclub in Orlando and opened fire. In the deadliest mass shooting in U.S. History, forty-nine people were killed and fifty-three persons were injured. For any of us who have ever been in a gay bar we knew the setting if not the terror of that night. Once again, an act of hatred unfolded against us and the hearts that know and love us. What followed in the next several days is something of a blur for me. I was driving to Portland for the Assembly when news of the attack broke. 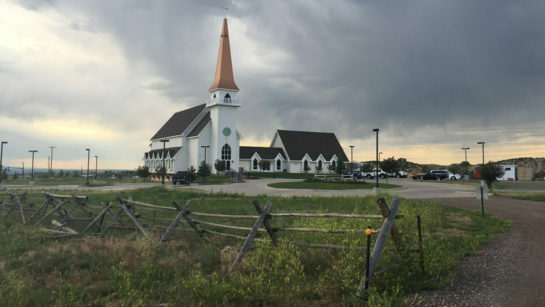 As I drove the hundreds of miles that I still had to go, I did so mostly in stunned silence thinking about the victims, thinking back to the narthex of South Church and Matthew Shepard and so much in between. By mid-week of the assembly, the activities of a mainline Protestant denomination at work provided some alternatives to thinking about the horrific murders of a week before, although the tragedy was far from forgotten. For me and others the work of passing the “healing overture” took on new intensity. We were in a kairos moment. With its decision, our denomination would soon face a nation reeling from a crime of hatred toward its brothers and sisters. It would be a response born out of immense suffering, addressing the nation, hopefully with our hearts and eyes and arms wide open. Instead, we blinked. We chose an easier softer way, careful to offend no one. The language of regret has its limitations and this left little or no mark on the church or the nation during a time of great tragedy, except to further alienate many in our community. It is a statement that comes perilously close to blaming queer folk for any harm they had experienced or felt they might have experienced. On the way home from Portland, I drove Route 50 through Wyoming. I stopped in Laramie and found the Sherman Oaks Apartments area where Matthew was left hanging on a buck fence. I prayed for all those who had ever felt hatred towards themselves for who it was God had created them to be. I prayed for those who characterized queer folk as a “minority of ‘God’s beloved children’”, displaying their own feelings of superiority, majority and dominance. I prayed for our denomination that had lost its prophetic voice and heart at a time it was most needed to be heard. Praying that the next time would be different. I prayed for those who believed in their hearts that regret was enough. I prayed for what might have been and what yet might be. And, I prayed so as not to curse the night – or anyone else.